Dimensions: 84 Inches Wide, 44 Inches Deep, 30 Inches High. 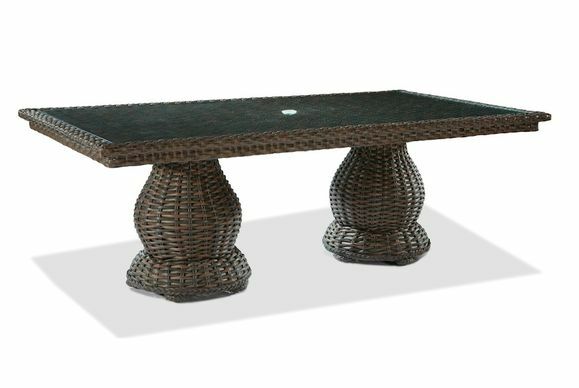 South Hampton collection 84 inch long dining table. Seats six and includes a hole for an umbrella. 84 Inches Wide, 44 Inches Deep, 30 Inches High.